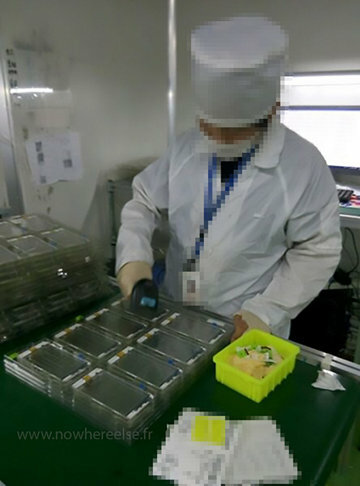 A set of photos posted to the Web on Thursday claim to show so-called "iPhone 6s" screens rolling off the production line, suggesting mass manufacturing of the next-generation handset has started. 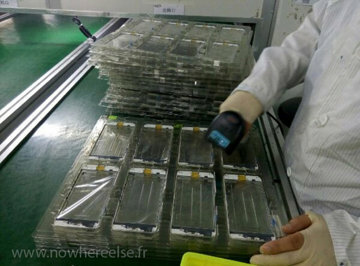 The pictures were sent to French website nowhereelse by an "informant" who claims production of the so-called "iPhone 6s" front cover glass has begun in earnest, echoing reports of an early start to device assembly in early July. As expected, the screen is aesthetically identical to current iPhone 6 models, though the source was unable to determine whether the material used is sapphire or alkali-aluminosilicate glass like Gorilla Glass. Also missing is proof of Force Touch capabilities. Apple is rumored to include the pressure-sensitive display technology, borrowed from Apple Watch, in at least one iPhone 6s model. 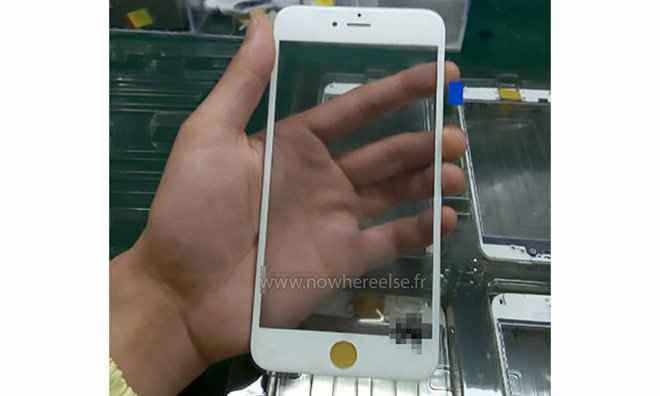 Supposed iPhone 6s leaks are starting to see wide distribution as Apple ramps up manufacturing. Last week, photos claimed to show a gold iPhone 6s Plus shell featuring a slightly modified internal design that reportedly boosts device rigidity. The photos' source said the casing felt smoother than current iPhone versions, leading them to believe Apple is employing a different type of aluminum this year. The claims line up with a report from well-connected analyst Ming-Chi Kuo, who in June predicted iPhone 6s will be made from the same 7000 Series aluminum currently seen in Apple Watch Sport. Aside from Force Touch and potentially new materials, not much is known about Apple's next-generation iPhone. Reports and rumors point to a faster A9-series system-on-chip with 2GB of RAM, 12MP rear-facing camera and new rose gold color option, though evidence supporting such claims remains elusive.